Future War: Preparing for the New Global Battlefield. Robert H. Latiff. New York, NY: Alfred A. Knopf, 2017. Civilian and military leaders have sought the ability to anticipate the nature of future conflicts and prepare for them for millennia. 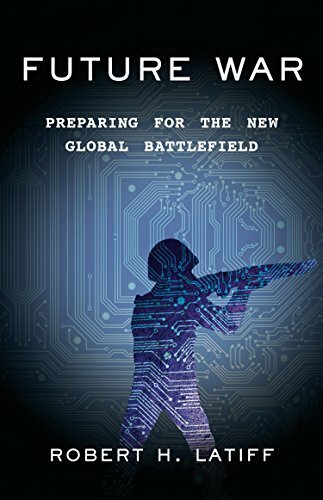 Robert H. Latiff, a retired United States Air Force Major General, gives us his vision of future war in his recent book Future War: Preparing for the New Global Battlefield. In a concise volume, he presents his assessment of where the U.S. military is now, the challenges ahead, and the way forward. Latiff is comfortable imagining a complicated ethical future of engineered soldiers and autonomous weapons while critiquing the political roots of persistent defense issues. His work is not simply an overview of emerging technology but a look at the coming changes in the character of warfare he believes these technologies will bring. He uses technology as a starting point for discussing the ethical and political limitations of the current state of the civilian and uniformed military civilian leadership at the national level. Latiff boasts a resume that makes him uniquely qualified to write about the impact of emerging technologies on war. He has a doctorate in engineering from Notre Dame and served in the Army as an infantry officer before transferring services. In the Air Force, he oversaw projects relating to high technology and reconnaissance, starting during the Star Wars program and finishing his service at the National Reconnaissance Office. Far from toeing the party line in Future War, Latiff takes numerous shots at the decision of American political and civilian leadership. In the introduction, he writes, “Too often we have been dragged by our political leaders into conflicts—in Libya for instance—with too little analysis of the future ramifications,” a reference to the 2011 NATO intervention. Later, in a chapter that begins with lines from David Halberstam’s The Best and the Brightest, he continues to write with what can only be disdain for America’s current leadership “…if jingoistic or ill-informed politicians speaking platitudes and clichés are the only decision makers, we may find ourselves in wars we should not wage and we cannot win.” Later, he references the “stunning display of dishonesty by our leaders” that led to the Iraq War in 2003. Latiff starts each section of his book with a fictional vignette that imagines a future war. Starting with a cyber-attack on American infrastructure, at first, it seems like something we’ve seen before in books like Ghost Fleet or One Second After. But the vignettes get better. He introduces us to a young soldier forced to follow orders from a robot squad leader and another who uses potent drug injections to forget disturbing moments of combat—possibly a reference to The Forever War. The book is organized into three main sections: an assessment of the current state of affairs, an assessment of the future, and a discussion regarding the challenges that those futures may bring. He concludes each section with an outline for a path forward, making recommendations for the individual services as well as the nation. The first two chapters are brusque. Latiff delivers his arguments and observations quickly, leaving little time for the reader to digest them before moving on. This survey of his own argument wants for detail and subtlety. Assertions like “Tomorrow's wars will be different still, fought largely for political dominance with stealth and cunning, targeting innocents and institutions…” seem to imply that Latiff would disagree with the Clausewitzian view that all war is fought for political dominance, a bold claim that goes unexplored. He also claims, “The so-called democratization of technology has diminished the monopoly of advanced countries on the tools of war.” This argument could merit its own volume, but may not actually hold water. Certainly, there has been a steady march of militaries acquiring unmanned systems technology, and China and Russia have worked hard to close their technology gap with the United States. But, expensive, high-technology, capital defense projects are reserved for fewer nations than during the Cold War when Europe still met NATO spending targets. This argument is more believable if the democratization of the tools of war were measured in hobby store drones, improvised explosive devices, and small arms; but at the highest level the technology gap in military technology like fighter aircraft even among developed nations is now measured in generations. Later in his work, Latiff lays out his vision for a future military with explicit calls for change. In his penultimate chapter “Where We Go From Here,” Latiff argues for tighter budget control and stricter limits and oversight on the commitment of forces. Even in this section Latiff employs quotes as often as his own words. Readers will recognize many of his arguments and proposals that he has borrowed from other authors. His call for more engaged oversight of the military by national civilian leadership would start with ending the current Authorization for the Use of Military Force and replacing it. The argument that the authorization is overly broad is as old as the bill itself. When it was passed in 2001, the sole dissenting vote by Barbara Lee (D-CA) was cast because she felt the Global War on Terror would become an “open-ended war with neither an exit strategy nor a focused target.” Every year since, she has attempted to get the 2001 Authorization for the Use of Military Force repealed, so far without success despite subsequent events proving her right. After Congress’s move to end US support for the War in Yemen, however, the prospect of a redrafted, more limited AUMF is increasingly possible. Such a move was even endorsed by the retired Marine Lieutenant General Jim Mattis in 2015 before he was named Secretary of Defense. Missing in his call for a new AUMF is any specific approval or disapproval on contemporaneous U.S. operations. Such a move would force Congress to make binary judgements on specific conflicts. Without using the term “military-industrial complex,” Latiff laments the power and clout of large defense corporations and inadequacies of the military acquisition process. 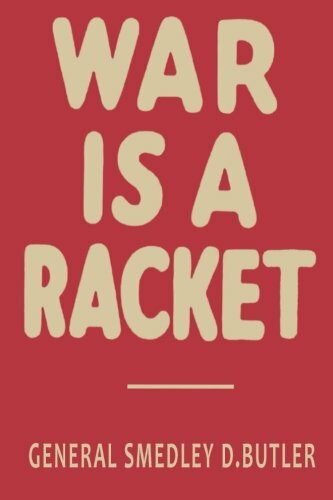 Again, his gripes are not novel—they date at least to the 1935 publication of War is a Racket by Marine Major General Smedley Butler. But his accusations of inefficiency and waste carry the weight of someone involved with the acquisitions at the highest level of the military in the last few years. Part of Latiff’s fix would be significantly reducing the numbers of private military contractors from companies like Blackwater and Triple Canopy employed by the military by shifting many military missions to the Department of State and staffing them in part by a new reserve force. Disappointingly, Latiff does not offer a way to balance his proposals or the budget strain they would create—his laundry list of proposals reads like a campaign speech for a candidate facing a surplus. It is easy to bash the growth of contractors in the military but much more difficult to posit alternatives with reasonable constraint. In his last nod toward the future, Latiff wants the government to reinvest in science and technology education for America’s youth to sustain technological overmatch for the next generation, a position not surprising from the PhD-holding general officer. He compares his proposal to the Eisenhower National Defense Education Act, which along with the Defense Advanced Research Project Agency and National Aeronautics and Space Administration were created to address a perceived technological gap with the Soviet Union. His emphasis on these programs along with calls for mandatory national service hints at nostalgia for a Cold War America. His Cold Warrior mentality occasionally limits his vision. He ignores the growing role that private space research and launch capability from companies like SpaceX and Rocket Lab are providing for the government. These companies are essential in providing a competitive edge in research and development of new technology. .
His final chapter, “A Concluding Plea,” addresses the growing civil-military divide, or what he earlier calls the “Public-Military Chasm.” Here, Latiff diagnoses and decries the relatively low price most Americans have paid for nearly two decades of war in the Middle East. He believes the burden of conflict needs to be shared among a whole society. Citing statistics about declining numbers of citizens who serve in the military next to more anecdotal evidence, he cautions that further isolation of the military will lead to a cycle of military elitism and hubris facilitated by an ignorant citizenry. A fierce critic of military lionization, he argues “[t]here is a propensity in the American public and the media to refer to all American troops as heroes.” He reinforces this with a quote from one of his students: “[M]any of the people standing in line for applause put their lives on the line about as much as a 7-Eleven clerk in a marginal neighborhood.” It’s reminiscent of the infamous line “We’re at war, America is at the mall.” It is disappointing to see arguments to end the all-volunteer force alongside clarion calls about the increasing complexity of warfare. There is certainly a civil and republican nostalgia for the conscripted force but in the 21st Century security landscape there is little room for one. Numerous countries like China, Russia, Germany and Norway have either ended conscription or begun to move toward an all-volunteer force. So much so that the professionalization of a military has become synonymous with an all-volunteer force, largely because of America’s success with such a model. The vaunted non-commissioned officer corps in the U.S. is, in part, a product of the all-volunteer force with which Latiff disagrees. In the year and a half since the publication of Future War, Latiff’s imagined future fared relatively well. His assessment that America’s civilian leadership knows little about the military and less about emerging new technology has been validated in Senate hearings with Mark Zuckerberg and Sundar Pichai. In Senate hearings last year, Facebook CEO Mark Zuckerberg answered a range of uninformed questions about Facebook including “How do you sustain a business model in which users don’t pay for your service?” To which he replied that they “Run ads.” Later, during a different hearing Google CEO Sundar Pichai was asked questions about the iPhone—to which he replied “Congressman, iPhone is made by a different company.” The demonstrated lack of even the most basic understanding of major tech companies, and the failure to differentiate between them is a damning show of ignorance by senior American leaders, but probably closer to the rule than the exception. One clear miss in his predictions was a failure to cover hypersonic weapons, which may prove to be the Pentagon’s new boogeyman. Such weapons are probably more relevant, at least in the near term, than the repeatedly mentioned biologically modified soldiers. 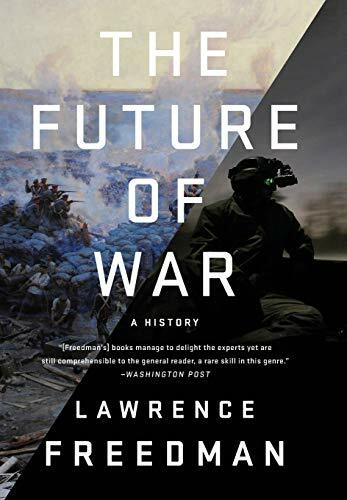 Lawrence Freedman, who recently published The Future of War: A History, would appreciate Future War. It avoids two of the major pitfalls that Freedman identifies in the future war genre. Latiff is not arguing that a single type of weapon or technology will dominate warfare and nor is he declaring that the end is nigh. His most significant prediction is increasing ethical and technological complexity and the emphasis on the moral and leadership sides of warfare would stand out among the works that Freedman covered in his book. That emphasis is more likely to keep Latiff’s work relevant where others in the genre are quickly overtaken by the present and fade into obscurity. Latiff laments wavering U.S. commitments to NATO and reversals in Middle Eastern policy, a stance in line with the defense establishment. He would be disappointed to see that both have far increased since publication of Future War, and show no signs of slowing. His focus on biotechnology advances and advanced gene editing which initially seemed the most implausible have been validated by recent developments like the announcement of a genetically modified baby in China, true or not. Additionally, debates over the ethics of autonomous weapons have exploded in the months since Latiff published his book. Future War is the whole-of-society sibling to Scales on War’s hard-nosed call to action with the cynicism of James Fallows’ “The Tragedy of the American Military.” Its merit lies in the contradictions and dilemmas that it frames and its brevity at only 192 pages. Where Latiff is strong on ideals and ethics, he is weak on policy pragmatism. He is unable to offer a way forward at the actionable level. Many of his arguments are tired rallying cries, though he is a master at concisely framing his point of view and drawing on the best available commentary. Still, he does little to refresh them. A quick read, Future War imagines a future fraught with moral dilemmas and technological complexity. Walker D. Mills is a Marine Corps officer. The views expressed in this article are the author’s alone, and do not reflect the official position of the U.S. Marine Corps, the Department of the Navy, the Department of Defense, or the U.S. Government. Latiff, Robert H. Future War: Preparing for the New Global Battlefield. (New York, NY: Alfred A. Knopf, 2017), 6. Wright, Austin. “How Barbara Lee Became and Army of One.” Politico Magazine, July 30, 2017. Accessed April 1, 2019. https://www.politico.com/magazine/story/2017/07/30/how-barbara-lee-became-an-army-of-one-215434. Mattis, Jim. “Using Military Force Against ISIS.” Defining Ideas, March 4, 2015. Accessed April 1, 2019, https://www.hoover.org/research/using-military-force-against-isis. Klay, Phil. “The Warrior at the Mall”. The New York Times, April 14, 2018. Accessed February 12, 2019. https://www.nytimes.com/2018/04/14/opinion/sunday/the-warrior-at-the-mall.html. In Senate hearings on 10 April, 2018, and 11 December, 2018.